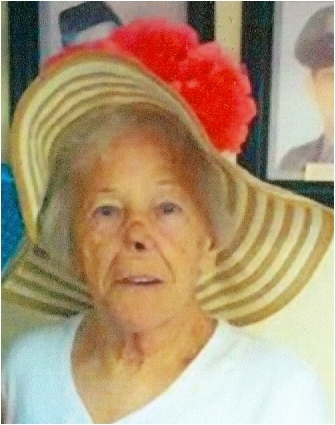 Mrs. Eva Mae Ellington Weaver, 82, of Crain Creek, passed away Thursday, April 11, 2019 at her home. She was born on September 27, 1936 in Rowan County, Kentucky, a daughter of the late Harlan and Ruby Hicks Ellington. Mrs. Weaver was a retired CNA having worked at Life Care Center and she had also worked at D & H Resort. She attended Fox Valley Church and she enjoyed spending time with her family, Bluegrass Music, working word search puzzles and reading books. In addition to her parents, she was preceded in death by her husband, David Eugene (“Gene”) Weaver, one daughter, Mary Lou Weaver and eight brothers and sisters, John Ivan Ellington, Dorthy Eggers, Donnie Ray Ellington, Beulah Whitt, Joyce Wright, Robert Ellington, Phillip Ellington and infant, Clinton Ellington. Survivors include two daughters, Shari Conley and Sandra Gulley, one sister, Pauletta Conn and her husband, Sterling, six grandchildren, Dustin Gulley, Jamie Conley, Errick Gulley, Kayla Gulley, Jason Conley and Ashley Sallaz, six great-grandchildren, J. J. Conley, Ember Gulley, Lilly Gulley, Levi Gulley, Eva Justice and Elijah Gulley and several nieces, nephews, other relatives and friends. Funeral services will be conducted at 11:00 A.M. Monday, April 15, 2019 in the chapel of the Michael R. Gray Funeral Home in Morehead with Brother Darry Cooper and Sister Beulah Weaver officiating. Burial will follow in the Caudill Cemetery at Sharkey. Visitation is after 5:00 P.M. Sunday at the funeral home. Pallbearers will be J. J. Conley, Jason Conley, Dustin Gulley and Jamie Conley.